Superstar Shah Rukh Khan and Salman Khan reunite on the silver screen after 11 years for the Aanand L Rai directorial Zero. The iconic duo has created an uproar with the affable chemistry in the recently released song ‘Issaqbaazi’. 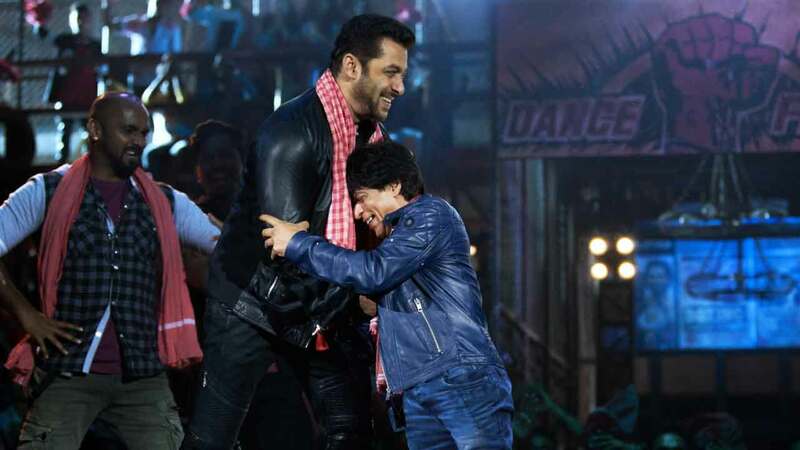 Ever since the teaser of the fun-filled song released on Eid, there had been immense excitement amongst the fans of both Shah Rukh Khan and Salman Khan to witness the duo on screen dancing again. Shah Rukh and Salman were last seen shaking their legs to the title track of Shah Rukh’s ‘Om Shanti Om’. The song ‘Issaqbaazi’ which is currently trending has broken all records with the crazy number of views within just 24 hours. The source says that “When the two Khans were shooting together in the studio, it had already created a buzz among the fans. Even before the song was released people were eagerly waiting for it to release just to witness Salman and Shah Rukh together once again. Within just 6 days of the release of the song, it has already crossed more than 29 million views. After Om Shanti Om the duo is tapping their feet after 11 years for zero’ s Issaqbaazi”. Aanand L Rai’s Zero touted to be one of the most awaited films of the year, among the moviegoers showcase Shah Rukh once again sharing on-screen chemistry with the Bollywood Divas Katrina Kaif and Anushka Sharma after Jab Tak Hai Jaan. Previous articleHere’s How Deepika Padukone Rules The Month Of December!